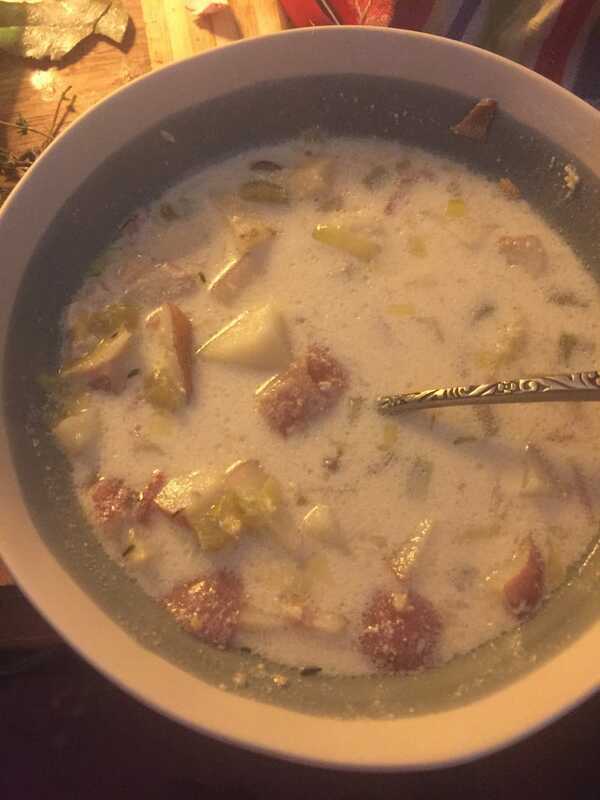 Above is a bowl of New England Chowdah. The goody~bits, in addition to the CLAMS, are bacon, red potatoes, mushrooms & turnips. See the chowdah wars here! I also vaguely remember that I had something to do with the Chowdah Wars around Groupthink. It was a fantastic fight! In addition to the Pork Roll vs. Taylor Ham War of 2015. Below is my refrigerator tonight. Little Necks upstairs & Cherry Stones downstairs. Both are two deep, with broth two deep. The “moosh” on the right are the Big Ones we reserved for chowdah & sent to the food processor.